SEE OUR KIDS PARTY ENTERTAINMENT IDEAS! 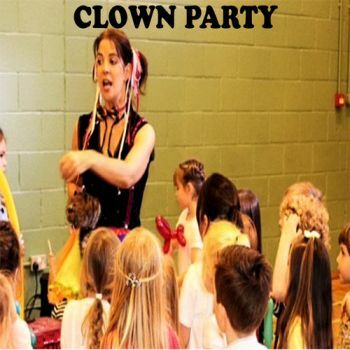 Welcome to Party Animals children’s themed parties in Dublin, Meath, Louth and Kildare. Parents can relax while the boys and girls have great fun with our brilliant children’s party entertainers. We have lots of kids party ideas, Magicians, Clowns, Princesses and Face Painters and more. Are you stuck for a kids birthday party idea? Our kids party entertainers will come to your home and provide in house stress free entertainment for kids at good value competitive prices. Looking for party ideas for boys? Your mini pirates are going to love our kids entertainer arriving at this party with swashbuckling fun. This party suits boys and girls from 3-8 yrs. Are you looking for birthday party ideas for girls birthday party? your daughter will love our princess party ideas. Your little princess will be delighted with her very own princess party. And don’t worry if a few boys happen to gate-crash the party! We have lots of children’s birthday party ideas. Our children's arts and crafts party is very popular! A lovely fun entertainer will arrive at your party to thrill the children with some pebble painting. Your kids’ Disco entertainer will organise the children to do some very popular dance routines. This kids birthday entertainment along with some nimble limbo dancing is always a big hit! Looking for childrens party ideas? Themed parties; Company Barbeque's; Shopping Centers; Film Premieres; Street Parties; Family Fun Days; Hotel Kids Club and Pub celebrations. We use top quality hypoallergenic face paints. At our Pamper Parties the girls will make and apply their own face masks (All natural ingredients). They then get to relax with the obligatory cucumber on the eyes which is great craic! Our communion parties are jam packed with activities, and we know how to keep them busy having fun! 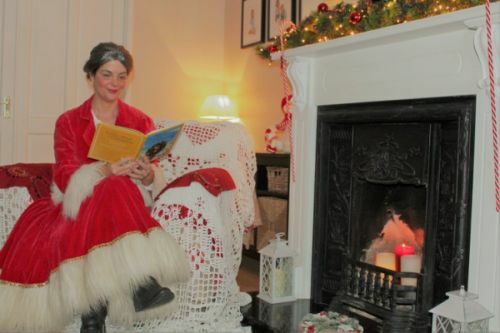 With the main man Santa being far too busy this time of year what with looking after the elves the toy making and the reindeer why not invite Mrs Clause to entertain the children. We have Mrs Claus plus elves available for your Christmas parties. Mrs Claus can talk to the children assist them with their crafts and cookie decorating. With over 15 years of experience entertaining children of all ages, Party Animals will turn any special event into a party to remember. Your children will love our kids birthday party entertainment. As each gathering is unique, Party Animals will tailor each event to create a unique custom personalised party for your child or event.